Welcome to our little glass bead show. You know... I hate to say it but ... it IS time to start thinking of FALL designs! Halloween Beads have been appearing in the sales venues on Facebook and other venues as well. 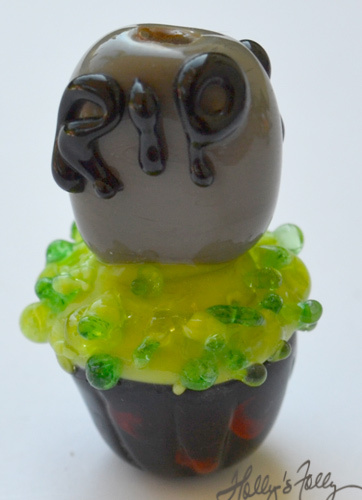 Check out this sculpted glass bead tombstone cupcake from Holly's Folly Glass.